The growing field of healthcare requires professionals in almost every sector. The prevalence of chronic diseases in the aging population increases demand for prescription medications. Advances in pharmaceutical research, the development of new medications, and health care reform also create the need for more prescriptions to be filled. Pharmacy technicians are needed to meet the demands placed on retail and institutional pharmacies. They have a critical role in the dispensing of medications and other healthcare products. Pharmacy technician programs prepare adults to assist licensed pharmacists in the dispensing of prescriptions and daily operations of the pharmacy. Accredited programs will prepare students for practice in both retail and institutional pharmacies. 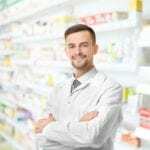 In retail settings, technicians must prepare medication, replenish inventory, create and maintain patient records, prepare prescription labels, prepare insurance claims, assist customers, manage the cash register, and read and interpret prescriptions. In hospitals, a technician’s role may include a wider range of responsibility. Their duties might include repackaging medications, preparing sterile intravenous medications, collecting data for quality improvement, operating computerized dispensing machines, and delivering medications to patients’ rooms. Hospital technicians might also assemble a 24-hour supply of medication and prepare commercially unavailable medications. Apart from working in hospital and retail settings, pharmacy technicians may also work in home health care, mail order pharmacies, nuclear medicine pharmacies, and drug manufacturing companies. 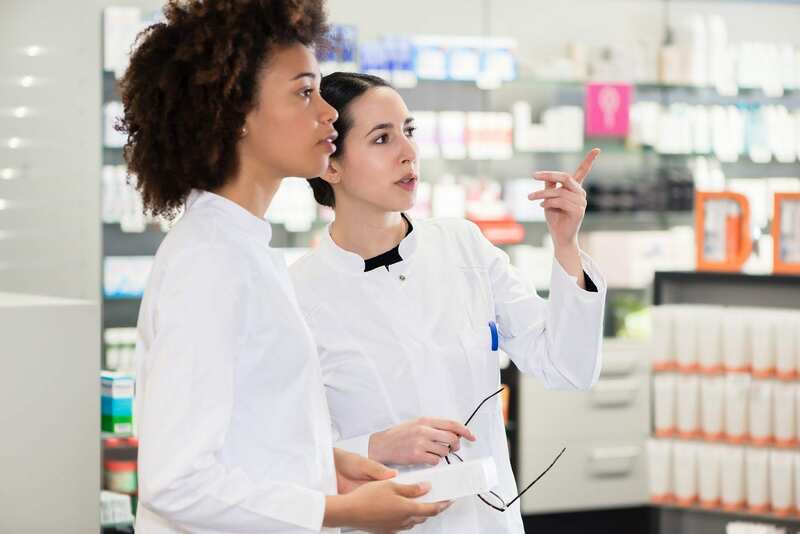 According to the United States Bureau of Labor Statistics, employment of pharmacy technicians is projected to grow 12 percent from 2016 to 2026, a growth that is faster than average for all occupations. California State University prepares adults to launch a career as a Pharmacy Technician. The program is offered in an online format and includes a pharmacy externship at a local pharmacy. Throughout the program, students will acquire the skills to perform pharmacy calculations, interpret physicians’ orders, measure, count, and pour medications, and receive inventory. Graduates will be prepared for success on the PTCB exam. The online format of the program allows for self-paced study while providing the same quality of the traditional format. The challenging curriculum prepares students for the intensity of practice. However, one-on-one support from instructors gives students the help they need to succeed. The clinical rotation at hospital and retail pharmacies let students apply the theoretical principles in a real-world setting. At the program’s conclusion, students will work understand medical and pharmaceutical terminology, hospital pharmacy operations, retail pharmacy operations, drugs and their effects, HIPPA requirements as they relate to pharmacy, federal and state laws that govern pharmacy, and the pharmacology or medications. The course covers a total of 330 contact hours. The Pharmacy Technician Program at Unitek College includes the extensive requirements of the ASHP. The curriculum includes the foundational study students need to succeed in a career as a pharmacy technician and support licensed pharmacists in both retail and hospital settings. Course topics include abbreviations and symbols used for medications, aseptic techniques, parenteral admixtures, dosage forms calculations, medication inventory, communication and customer service, reading and interpreting prescriptions, and inventory and billing. In addition to classroom theory, students will also perform hands-on exercises in a simulated lab, and participate in 240 hours of pharmacy externship in retail and hospital pharmacies. When combined with the theory, the practical and real-world experience will support the development of professionalism and problem solving and communication skills. Tuition for the 9-month program is $14,740. Books and supplies cost an additional $400. Through intensive preparation over a period of 30 weeks, Mission College prepares students with foundational knowledge for employment as a pharmacy technician. The program is beneficial for students (high school or college), adults seeking a career change, and adults who want a career in health. Written and taught by licensed pharmacists, the curriculum includes 400 contact hours of classroom theory, hands-on lab, workshops, and a supervised externship in retail or hospital pharmacies. Graduates will receive a Certificate of Completion and will be eligible for licensure by the California Board of Pharmacy. Course topics include introduction to pharmacy practice, pharmacy math, pharmacy law, pharmaceuticals, pharmacology, pharmacy terminology, pharmacy communications, and pharmacy math. Other topics include professional development, OTC and healthcare devices, compounding, institutional pharmacy operations, managed care, outpatient pharmacy operations, and a clinical externship. Students will develop skills and professionalism from field trips and through simulations in the school’s lab. Lab simulation activities will include drug labeling, dispensing and compounding medications, pharmacy software, aseptic techniques, and inventory. Day and evening schedules are available. Day classes meet Monday through Thursday from 9 am to 12 pm. Evening classes meet Monday through Thursday from 6:30 pm to 9:30 pm. Tuition costs $5,500 and includes materials and deposit. Carrington College provides pharmacy technician students with the theory and practical training to be eligible for licensure to function as assistants to licensed pharmacists. Students learn drug distribution systems, pharmaceutical and medical terminology, abbreviations and symbols, dispensing and documenting medications, pharmacy calculations, preparation of sterile dosage forms, standards and ethics in practice, and drug distribution methods. Students must complete a total of 690 contact hours (28.5 semester credit hours) to complete the Certificate requirements. The curriculum is broken down into 270 lecture hours, 240 lab hours, and 180 clinical hours. Graduates will receive a Certificate of Achievement and will be eligible to sit the Certified Pharmacy Technician national certification exam. Tuition for the program is $16,217. Books and supplies cost an additional $680.